← WHAT DOES IT MEAN TO BE “SAVED”? 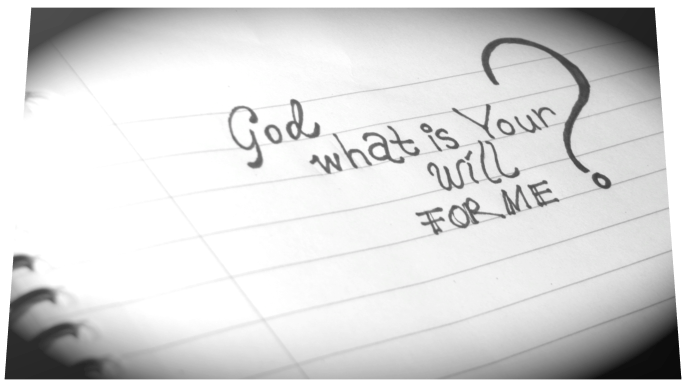 GOD – WHAT IS YOUR WILL FOR MY LIFE? So how do we discover the things God has prepared for those who love Him? How do we discover God’s will – what is proper, pleasing, and perfect? Paul reminds us in the first two verses of Romans 12 – we must learn what it truly means to worship! Worship is one of the most misunderstood calls in the church today. When someone says – “Let’s worship”, the immediate thought is – “Let’s sing some songs.” Yet, although worship may include singing songs, and prayer, these are merely expressions of a life that is committed to worship. And here is the most important thing we need to understand – we can focus so much on the expressions or worship, that we never really enter into worship at all! When Jesus encountered the woman at the well in John 4, He began a dialogue with her that led to the discussion of worship. When the woman was confronted with her need to repent, she quickly hid behind a discussion on the expression of worship. She asked Jesus which location was the proper location to worship – the high places in Samaria, or in Jerusalem. Jesus’ answer cut right to the heart of the matter, and in a different way said exactly what Paul reiterates in Romans 12:1-2. True worship is about surrender. A living sacrifice is wholly surrendered. If something is removed from the sacrifice, it will cease to be a complete living sacrifice. When we compartmentalize our lives, holding back parts of our lives from the Lord, our worship is not holy (fully set apart), and pleasing to the Lord. Only a fully surrendered life and heart is the reasonable way to worship. And only those who worship in spirit and truth (having our hearts,, souls, and bodies surrendered to the Spirit, and His Truth), will fully discover God’s proper, pleasing, and perfect will for their lives. To be a true worshipper, to discover God’s will for my life, I need to be willing to let go of any sin, any thought, and any activity that is not pleasing to Him! Lord, transform my mind and heart today by the power of Your Holy Spirit! I want to be a true worshipper. I want to live my life fully surrendered as a living sacrifice, given wholly to You. Give me the grace to resist the pressure to be conformed to this world. Help me to have spiritual discernment to know when this is taking place, and to call upon Your Name for victory and deliverance. Lead me and guide me into Your proper, pleasing, and perfect will for my life.